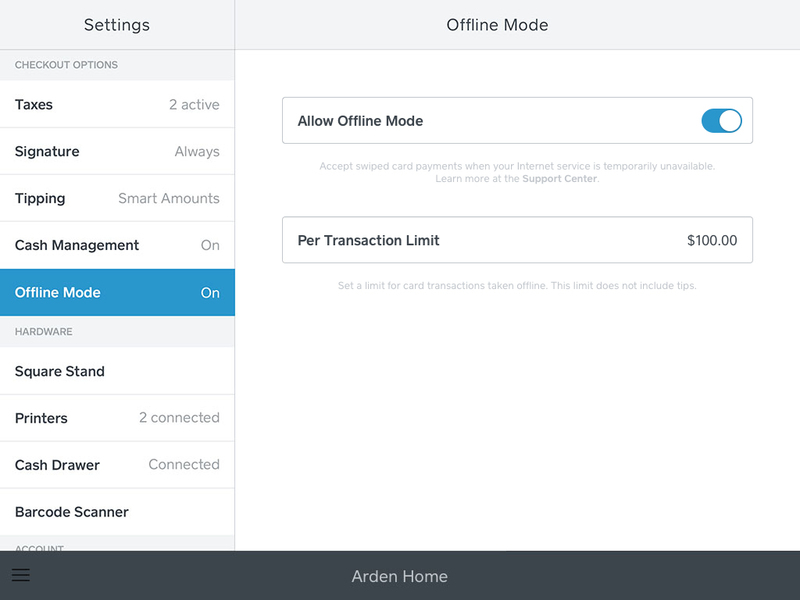 With Offline Mode, you can accept swiped card payments when your Internet service is temporarily unavailable. Offline payments are processed automatically when your device regains connectivity, and will expire if not processed within 72 hours. By enabling Offline Mode, you’re responsible for any expired, declined, or disputed payments accepted while offline. Before swiping a card offline, we recommend you verify the name of the cardholder as well as the expiration date to ensure it’s a valid card. 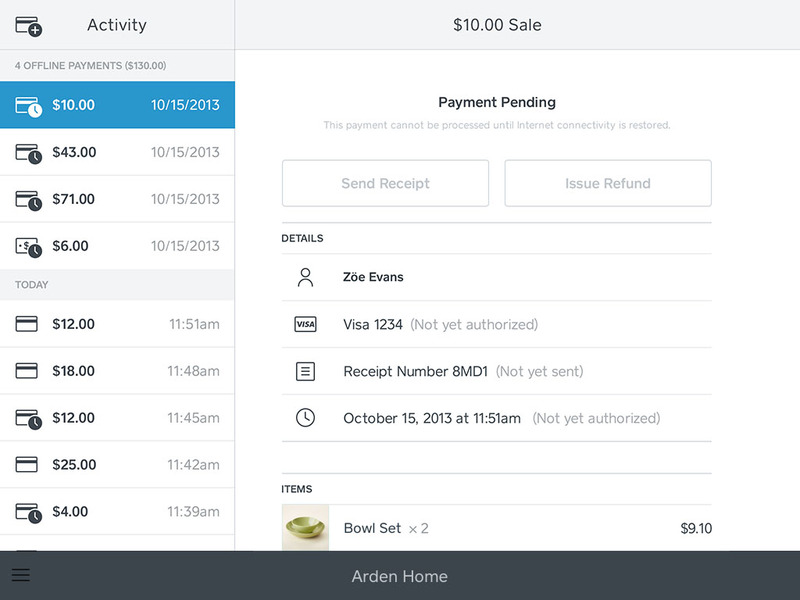 If a payment card is declined, Square is unable to provide buyer contact information. Keep in mind Interac transactions are not supported while in offline mode. Note: If you have pending offline payments, do not delete the Square app. Pending offline payments will be permanently lost and the funds won’t be captured if the app is deleted. Make sure you process these payments by re-connecting your device to the Internet. Tap Settings > Offline Mode. Toggle Allow Offline Mode to on. Review the information and then tap Allow Offline Mode. To set a limit for card transactions taken offline, enter an amount next to Per Transaction Limit. This limit automatically defaults to $100 when Offline Mode is enabled and the maximum per transaction limit is $50,000. When Offline Mode is enabled, you’ll see a red banner in-app if your Internet connectivity is disrupted, indicating the app has automatically entered Offline Mode. Offline payments will appear as pending from your in-app payment history while your device is offline. When you’ve regained Internet connectivity, payments will show as completed and will be visible from your online Square Dashboard. Customers’ digital receipts and your payment notification emails will also be sent when the app is back online. Remember – you’ll have 72 hours to upload your offline payments. Note: You’re unable to cancel or refund pending offline payments. To issue a refund, first complete your pending payments. To do so, re-connect your mobile device to the Internet to automatically upload your payments. Once complete, you can issue a refund.